I have been a huuuuge fan of Ms Aleo's Assassins series, and she has not disappointed me with this first IceCats book (though in my head I am calling this Assassins: The Next Generation). We have already had the story of Ryan Justice, and now we have the story of his sister and his best friend. Oh how I love Amelia and Chandler. 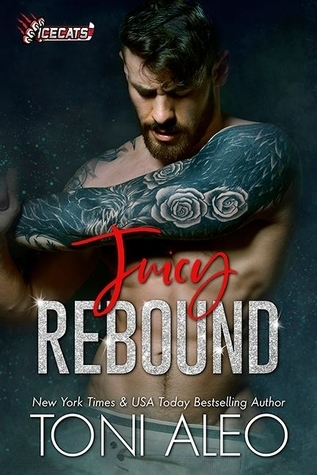 Right from the very first time we meet them in Juicy Rebound, I was hooked. The Justice family is a strong one, however the past few years has seen them fracture. Amelia is so strong, yet has been emotionally broken. My heart hurts for her (and the rest of the Justice family) as they try to find their way back to each other. Chandler - le sigh. After what he has been through, you can't blame him for being gun shy when it comes to women - well, except for his Amelia. Their story is one of loving when you don't feel like you are worthy. Not just intimate love, but also familial love. This book really pulled at my heartstrings, as I went from laughter to tears, sometimes in the space of just a chapter or two. This was a fantastic start to this new series, and I am looking forward to where the IceCats take us next.